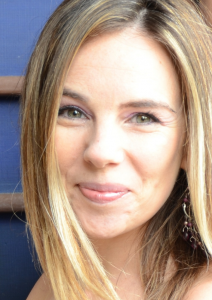 Today’s Pro Interview features Melissa Suzuno, Content Marketing Manager at Greenhouse Software. Pagezii – Melissa, please tell us a bit about yourself. Melissa – I’ve always loved reading and writing, so I majored in Literature as an undergrad. It was a little unclear how that would translate to a career, so after college, I ended up moving to Japan to teach English. That was a lot of fun but didn’t feel like the profession I’d want to do forever, so I then headed to the UK for graduate school, where I earned an MA in Translation and Professional Language Skills. At that point, I’d basically decided that I wanted to be a professional writer and editor, so I returned to Tokyo where I worked at a few publishing companies and eventually in the head office of an English school where I wrote textbooks for a few years. When I returned to the US, I discovered the field of content marketing and was really excited to see how my previous experiences had prepared me to pursue this type of work. I began this phase of my career at a company called AfterCollege and then moved on to Parklet, a small startup that was acquired by Greenhouse in November 2015. I’m now the Content Marketing Manager at Greenhouse, where I oversee the Greenhouse Blog and Modern Recruiter newsletter, and help out with eBooks, email copy, and anything else that needs to be written! Pagezii – What is Greenhouse Software? Melissa – Greenhouse designs tools that help create and navigate the changing world of work. We help companies take on some really complex and interesting problems, like figuring out who to hire and how to manage the interview process, and how to set up new hires for success by creating a comprehensive onboarding process. 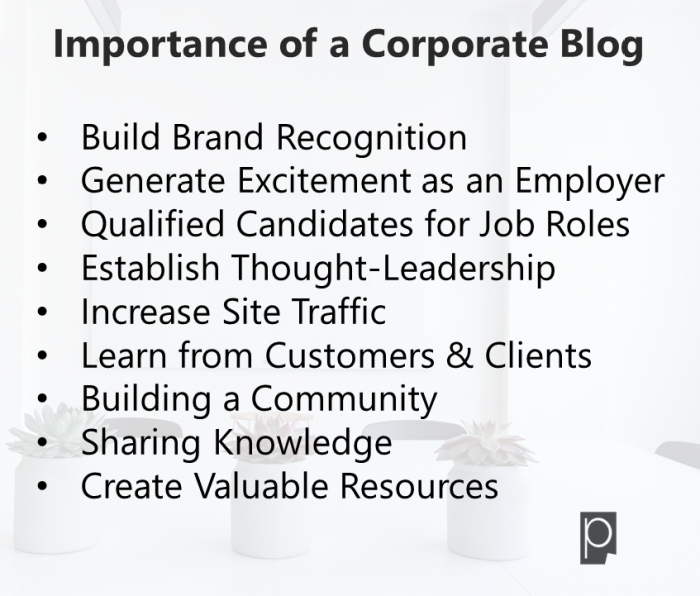 Pagezii – How important is it for businesses to have a corporate blog? Melissa – Well, as someone who spends a lot of time writing for company blogs, clearly I think this is super important! In fact, a few years back I wrote a post on LinkedIn about why I think companies should have their own blogs. A few reasons why I think blogs are so important – firstly starting and maintaining a blog is an excellent way to build brand recognition. Secondly, a good company blog can help generate excitement about your company as an employer and bring qualified candidates to your open roles. Regularly blogging on topics relevant to your industry can establish you as a thought leader and lead to increased traffic to your site. And lastly, blogging creates another forum for you to communicate with and learn from your customers and clients. I’d also add that a good company blog should not just be about you and your company. It’s about building a community, sharing knowledge, and being a resource. If you keep those points in mind, you’ll be setting yourself up for success! Pagezii – What’s the best strategy to create topic ideas for a B2B blog? Melissa – There are a few different ways to do this. If you’re just starting out and haven’t really been publishing anything yet, you should spend some time doing research to understand topics people in your industry are writing about and what they’re saying. Then you can think about how your approach will be different. For example, do most people tend to write short posts that don’t offer a lot of detail? You can write longer, more informative posts. Or if most blogs in your niche are really serious and dry, that could be an opportunity for you to take a lighter, more conversational tone. If you’ve already been publishing for a while, you can look at your Google Analytics to get an idea of which posts perform the best. There are a few different ways of looking at this – you can consider which posts have the most page views, which ones have the lowest bounce rates, or which ones have the best conversion rates, if you’re using blog posts as a way to get people to subscribe, sign up for a webinar, download an eBook, or take some other type of action. Then you can take the information you’ve gathered and try to create similar content, whether it’s by the same author, a continuation of the same series, or making updates with new information. Pagezii – As a content marketer, what has been your most memorable campaign? Melissa – I’m currently working with Greenhouse partner 2020Shift on a really exciting project that’s coming in early 2017. I can’t reveal too many details yet, but keep your eyes open! In my previous role at AfterCollege, it was really exciting to work on The Ultimate Guide to Twentysomething Life. This eBook featured some of the best content we’d put together on our blog and included tips on managing money, dating someone in med school, deciding whether to go for an MBA, and much, much more! I’d always dreamed of writing a book, and this project helped me to realize it. Plus, I think it’s a genuinely useful resource for navigating that tumultuous time between college and the rest of your life! Pagezii – What are the new trends in content marketing you see taking place? Melissa – While there are always changes to the technology and tools we use as content marketers – new social media platforms, better tracking, increased automation, etc. I actually think that the essence of what we do remains the same – to help people solve their problems and become an invaluable resource to them. So as long as we continue to do that, our work doesn’t really change all that much! Pagezii – Thank you, Melissa, for helping our readers get a better understanding of content marketing for a B2B blog.